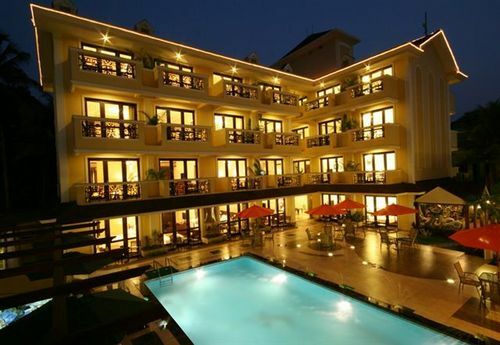 Enjoy the sun, sand and sea while staying in this 4Star resort located close to the famous Candolim and Baga beaches. There are 45 air-conditioned rooms and a multi-cuisine restaurant by the name of Ice & Spice Restaurant with its own display kitchen. The resort is also maintained with a video conferencing hall and a pool bar with bar-be-que facility. Rejuvenation options include: a swimming pool, a fitness center, steam bath, Jacuzzi, and a games room.